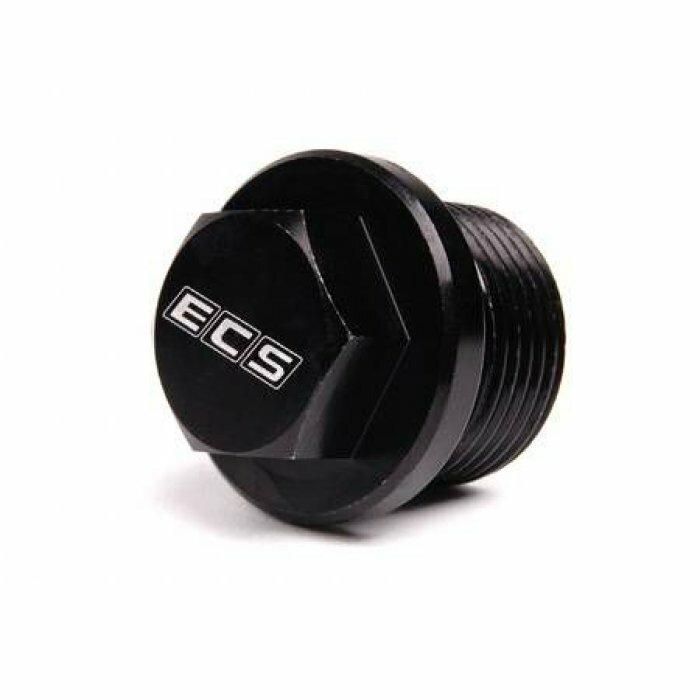 Magnetic Transmission and Differential Drain/Fill Plugs from ECS Tuning for your Audi. ECS Magnetic Plugs have a permanent magnet that is fastened to the plug body. This magnet attracts and holds abrasive ferrous metal particles preventing their circulation through the lubrication systems. The constant flaking effect of normal wear of moving parts. Particles not removed by flushing operations after boring or machining. Chipping due to sub-surface casting flaws. Minute component breakdown caused by stress usage. Usually a combination of factors accounts for the presence of these particles that cause excessive wear to vital components unless they are removed. By holding these particles the ECS Magnetic Drain/Fill Plugs prevent excessive wear to the system's components. These new plugs also use a very common and handy 17mm hex head eliminating the need for a special allen socket.